The irrigation services industry has been rapidly evolving, with many technological advances becoming available in the last decade. Growing concerns about water efficiency and a whole new market of smart connected irrigation control devices, provide a multitude of additional tools and services for efficient irrigation and water management that your business can provide for potential and existing customers. 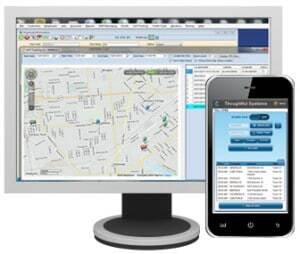 With Scheduling Manager software for irrigation services, you can integrate and streamline all your business processes, automate all routine scheduling, employee management and accounting tasks, and get rid of unncesseasy paperwork and double entry. With more time and money freed up for other taks and your business running efficiently, you can focus on marketing additional irrigation services, providing great customer service and increasing the profitability of your business. Using our new route optimization interface you can route and optimize dozens of points per day, automatically reordering jobs to minimize driving distance. One of our lawn care business users in Florida regularly schedules up to 65 jobs per team per day during their busy spring and summer seasons. With a single mouse click, they are able to optimize all of their jobs for each route for the day, displaying the directions on the map within seconds. By optimizing roughly 150 jobs per day, their business is able to cut their mileage and driving time in half, reducing their driving by 200 miles per day on average. They have calculated that this saves them $20,000 per year in saved gas mileage and employee time costs! 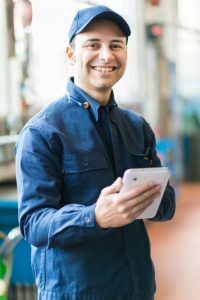 Our SM-Mobile App, available on Android and Apple mobile devices, keeps your field employees and your back office staff current with the daily job schedules and the clients’ needs. As all information from the field is sent to the home office in real time, you can eliminate unncessary paperwork and double entry and streamline all your business communications. Our Equipment Manager module tracks all information regarding the various pieces of equipment for your customers as well as the necessary parts information for the equipment .Easily track each specific piece of equipment and allocate your resources efficiently.